E-Balance is designed to protect you from “hormone disruptors” that can lead to excess weight, achy joints, and brain fog. These disruptors are hiding in your food, personal care products, and even everyday household items. Not only are they harmful to your health — they can lead to also affect your waistline. So protecting yourself is KEY. 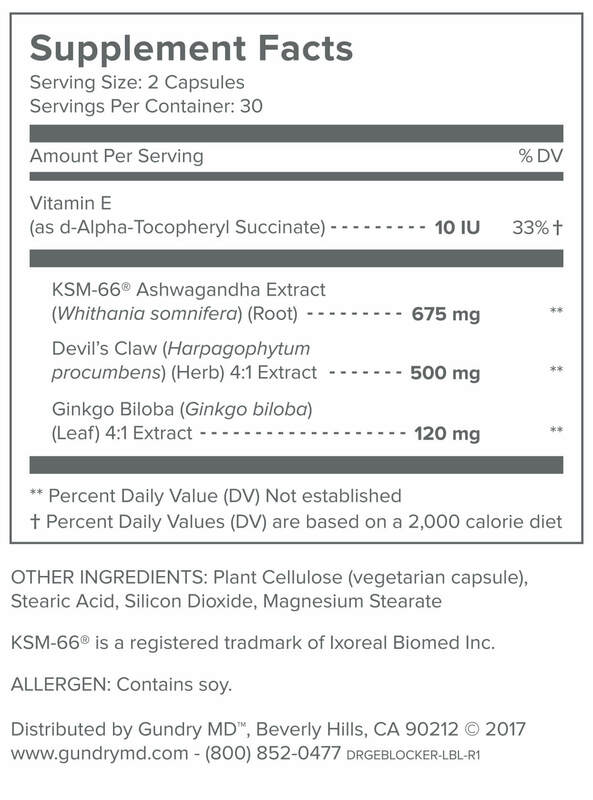 WHAT ARE THE INGREDIENTS IN GUNDRY MD™ E-BALANCE? WHO SHOULD USE GUNDRY MD™ E-BALANCE? 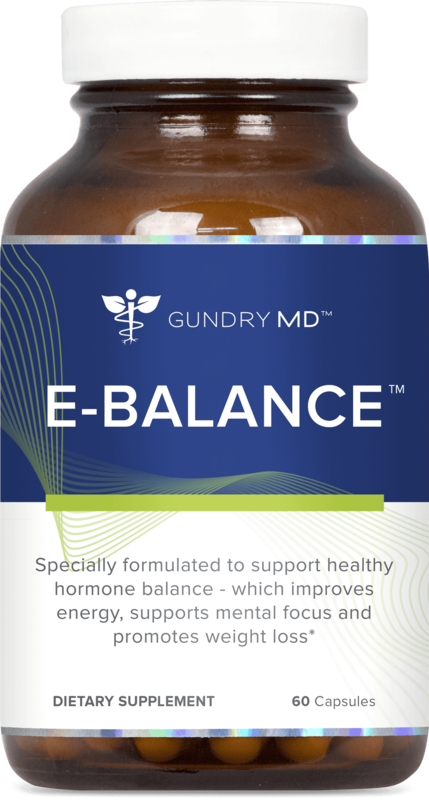 Gundry MD™ E-Balance is perfect for anyone who may be suffering from “hormone overload.” This occurs when your body gets messages from hormones that are hiding in everyday substances — like food, cosmetics, and household items — which tell your body to hang on to excess fat. That results in weight gain, stiff or creaky joints, and “brain fog,” or inability to concentrate. But E-Balance can help change all that… so you can shed excess weight (and the health problems it can lead to). HOW PURE IS GUNDRY MD™ E-BALANCE? Gundry MD™ E-Balance contains only 100% natural and pure ingredients. The formula is tested for quality and purity at an independent, 3rd-party facility. However, as a physician I recommend consulting with your own health care provider before beginning any new supplement, especially if you currently take prescription heart, hormone or bone-health medication..
HOW DO I USE GUNDRY MD™ E-BALANCE? Using Gundry MD™ E-Balance is easy. Simply take two easy-swallow capsules a day. I recommend taking them first thing in the morning with a tall glass of water — but any beverage will work. 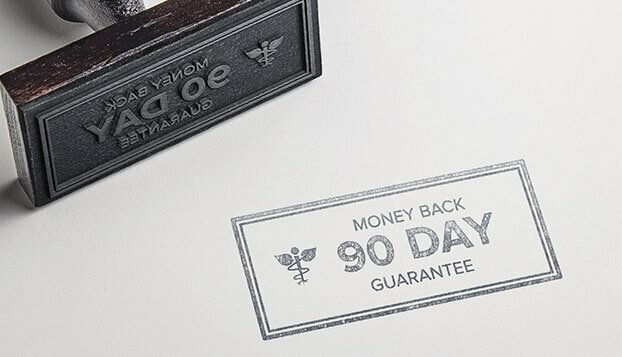 If you’re not happy with your results for any reason, simply contact our customer support team within 90 days of purchasing your products, and we’ll refund your purchase – no hassle, no worries. Your order will be processed as a one-time charge. When you’re ready to re-order, you can come back to GundryMD.com, or call our US-based customer support team at (800) 852-0477. This has really helped my hot flashes. I have tried many other supplements and nothing else has ever worked. What a relief! Both my wife and I are taking this along with the Vital Reds, I'm not sure if there have been radical changes but both of us do feel much better. I like this product. My joints do feel better and I am thinking more clearly.